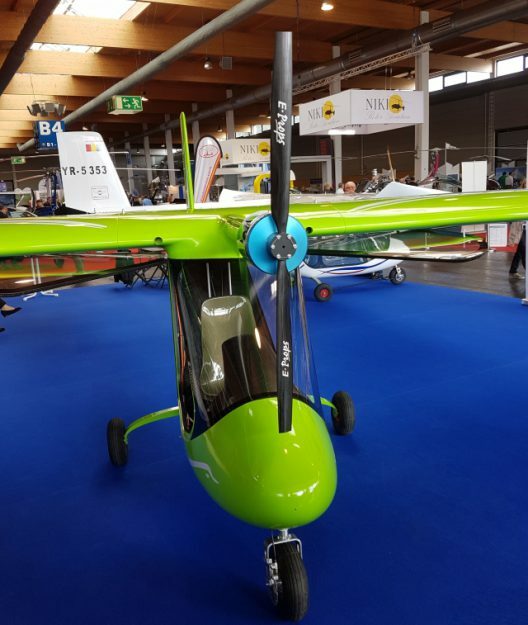 At this year’s Aero Friedrichshafen, Modern Wings showed off their Swan Ultralight, a nicely packaged machine that can fly on either fossil fuels or electricity. Of course, we’ll feature the electric version here. The Swan E115-22 is an electrically-powered airplane of 115 kilograms (253 pounds) empty weight powered by a 22-horsepower motor. That empty weight puts it solidly into U. S. FAR Part 103 territory and SSDR (single-seat deregulated) requirements in Great Britain, and a 120 kilogram (264 pound) version complies with Regulation 120 in Germany. Maximum takeoff weight is 300 kilograms (660 pounds), heavier than the 524 pounds Part 103 allows, and possible legal depending on how local FAA inspectors view batteries as part of empty or total weight. Designers chose a high-wing, tractor-propeller configuration to help keep newcomers out of trouble, and crafted a nicely streamlined pod and boom with neatly faired landing gear. This helps enclose the pilot, “…For smooth, pleasant flights without a heavy and expensive helmet and eases flights in low temperature weather conditions with no need of a sophisticated costume.” Pilots sit on the center of gravity, allowing for a variety of sizes and shapes, with no adjustments required other than to seatbelt and shoulder harness to go aviating. The airplane can accommodate those up to two meters (six feet, six inches) tall. Cockpit comfort is given a high priority, with cooling ventilation for warm days and an optional heater available for cooler climes. The video shows the Swan at the 2015 Aero, but disappointingly shows only the gasoline-fueled version. Curiously, coverage of the Swan starts at 50 seconds. Swan can manage four positive G’s and two negative, its lightweight carbon and aramid fibers and high-strength aluminum carefully chosen for each segment of the structure. Flaperons are 25-percent of the wing chord and cover much of the trailing edge. They move up a negative five degrees, enabling a cruise speed well above Part 103 maximums, but well within European limits. Downward travel of 30 degrees slows landing speeds to well within Part 103 parameters. Swan with Eck/Geiger 22-horsepower motor at 2017 Aero. Note E-Prop. made by Anne Lavrand’s French company. Power on the model displayed at Aero is an Eck/Geiger 16-kilowatt (22 horsepower) single-rotor unit which has a controller and battery packs well suited to the ultralight market. 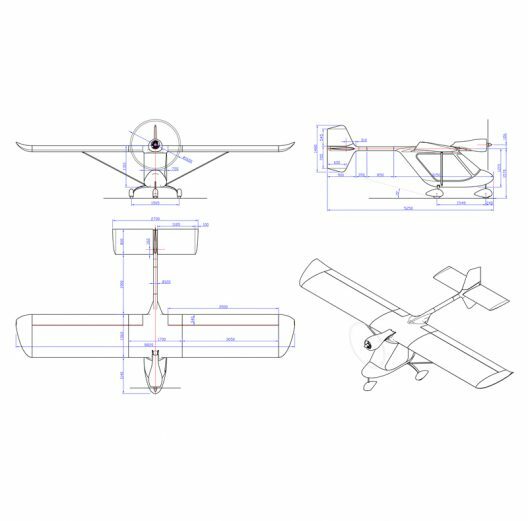 When more such airplanes become available at prices more in line with people’s budgets for recreational flying (much like Chip Erwin’s Personal Sport Aircraft), we will see greater sales, especially if regulatory constraints are reasonable. A craft such as the Swan would be an attractive vehicle for weekend adventurers, and group ownership might expand such opportunities to the larger community. When do you anticipate Swan electric part 103 will be available for sale in the USA?